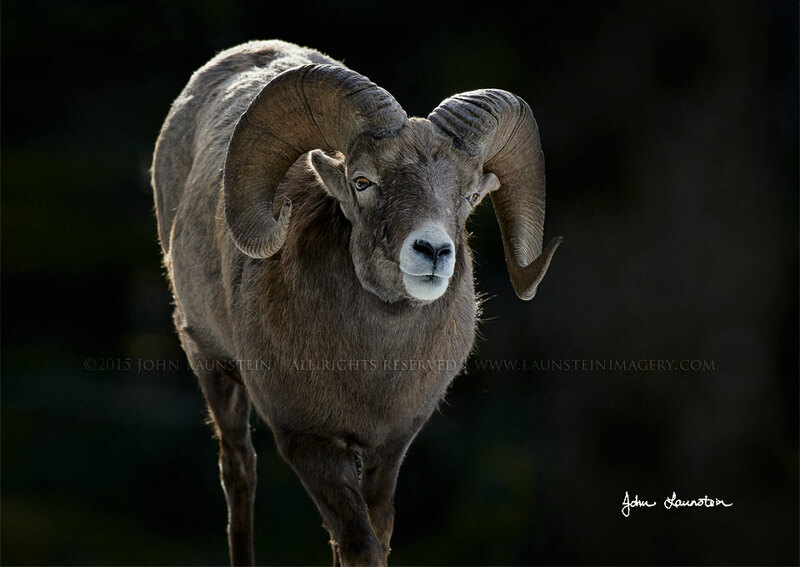 John and his young son Josiah share a passion for photographing Rocky Mountain Bighorn Sheep. In fact, at age 10, Josiah became the youngest ever to be named Young Outdoor Photographer of the Year with his winning picture of two bighorn rams. This ram was a favourite subject during the 2015 rut near Kootenay National Park in southeastern British Columbia, because of his tendency to stay along the edge of the forest. Just as the sun broke through the clouds, John caught this moment as the ram emerged from the shadows.